A number of small “Venture Studies,” intended as mock-ups for large public wall installations, were made in the early 1980s. A blank wall in a lobby setting, usually in the garment center, would be photographed, and a study made for that space. 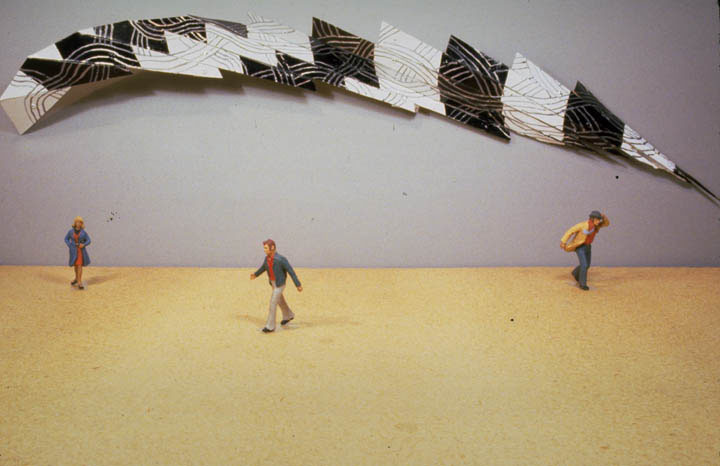 Only one study, The PS 1 Piece, would later materialized as an installation. Most lobby blank walls in commercial buildings were intended as advertising spaces, and the idea never got any traction. H: 6 in. x W: 20 in. x D: 3 in.